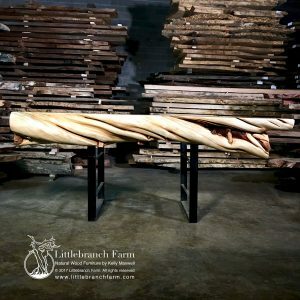 This driftwood mantel is 84″ long, 7″ thick and shelf depth 11″ to 13″. 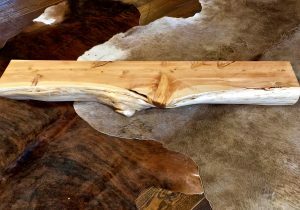 Live edge driftwood mantel has a curly wood grain pattern and fire chard live edge. The natural wood patina of this fireplace mantel is a stunning addition to any home’s decor. Also, it is a great match or our custom fireplace tools made by our colonial style blacksmith. 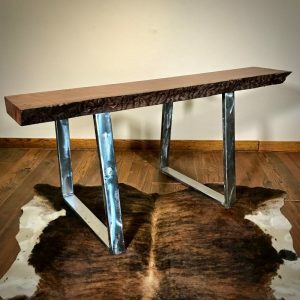 Consider adding a natural wood table or rustic vanity made from live edge wood. 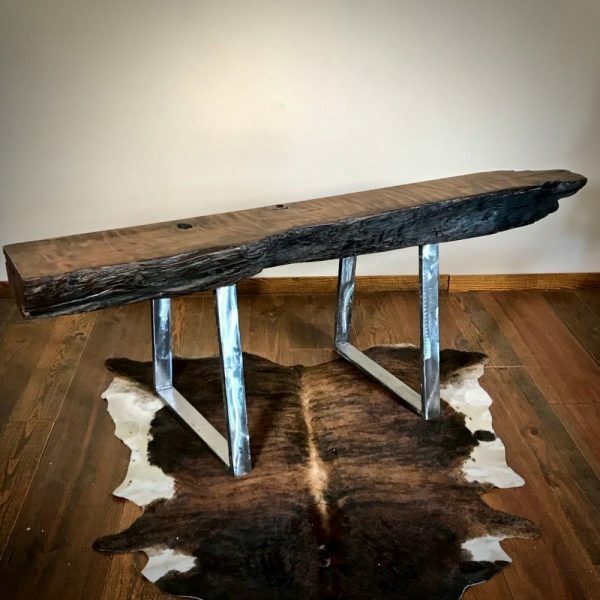 By adding a few key pieces of natural wood furniture whether, in rustic, contemporary or modern style will warm and invigorate your decor. Personally, rustic furniture is perfect for any space in moderation such as a rustic fireplace mantel on an ultra modern fireplace.